Pooja Bedi is all set to make a biopic on internationally renowned beauty mogul Shahnaz Husain. 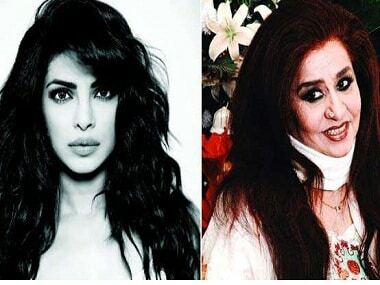 Priyanka Chopra-Shahnaz Husain. Image from Twitter/@dnaAfterHrs. The movie will be based on Nelofar Currimbhoy's (Husain's daughter) biography on her mother. The title of the book is Flame: The Inspiring Life Of My Mother. Bedi acquired the rights to make the film last year. Kamlesh Pandey, who was the scriptwriter of the blockbuster cult classic Rang De Basanti, has been roped in to write the story and screenplay of the upcoming biopic. “I am working on the script and screenplay of Shahnaz Husain’s fascinating and inspiring story. The film will trace her successful journey from a naïve, young girl hailing from a conservative Muslim family to one of the most successful businesswomen in the world of beauty,” said Pandey, according to a DNA report. It is being speculated that Priyanka Chopra, Kareena Kapoor Khan, Vidya Balan and Aishwarya Rai Bachchan are the top contenders that are being considered to portray the role of the groundbreaking entrepreneur on the big screen. 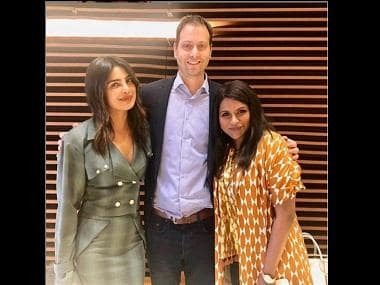 Husain had reportedly stated previously that if a biopic on her life was to be made, she would only want Priyanka Chopra to play her. The director of the film will be finalised shortly, and the movie is expected to go on the floors early next year.